Harald Köthe, Director of the ICWRGC located at Koblenz, Germany, attended the International Forum for SDG 6, held by the UNESCO Cat 2 Centre for Integrated and Interdisciplinary Water Resources Management (CIIWRM) at the Aristotle University of Thessaloniki (AUTh). Mr. Köthe gave a lecture on “Striving for water bodies with good ambient water quality (SDG 6.3.2)”. The Forum provided an opportunity for cooperating with the Greek Cat. 2 Center. Under the topic “Global analyses and local solutions for sustainable water resources management ” the GRoW Mid-Term Conference will be held in Frankfurt/Main (Germany), from 20–21 February 2019. The initiative “Water as a Global Resource (GRoW)” is part of the Sustainable Water Management (NaWaM) funding priority within the Research for Sustainable Development (FONA) framework of the German Federal Ministry of Education and Research (BMBF). The conference will be rich in variety: 90 research institutions cooperating in 12 GRoW projects will present their latest results, and discuss them with more than 200 expected participants from research, business and practice within 4 thematic clusters – global surface water resources, global groundwater and water supply, water footprint, global analysis and governance. The ICWRGC supports the UN Sustainable Development Goals within the scope of several projects (SDG 2, 6, 7, 12, 13, 14, 15). As an invited keynote speaker, Harald Köthe, Director of the ICWRGC, will give a keynote lecture in the session “Water quality as a challenge for achieving SDG 6 (Clean Water and Sanitation)”. Where is the biggest need for innovation in order to achieve water quality related SDG targets? What is necessary to ensure that innovations are taken up and thus contribute to achieving SDG 6? How can research results feed into the UN process in support of monitoring and implementing the SDGs? The article “Toward an Understanding of Synergies and Trade-Offs Between Water, Energy, and Food SDG Targets” by Dr. Marianela Fader and colleagues, published as part of the article collection “Achieving Water-Energy-Food Nexus Sustainability: a Science and Data Need or a Need for Integrated Public Policy?” in the journal “Frontiers in Environmental Science” is in the top 15.0 % most viewed and downloaded articles in the 4th quarter of 2018. 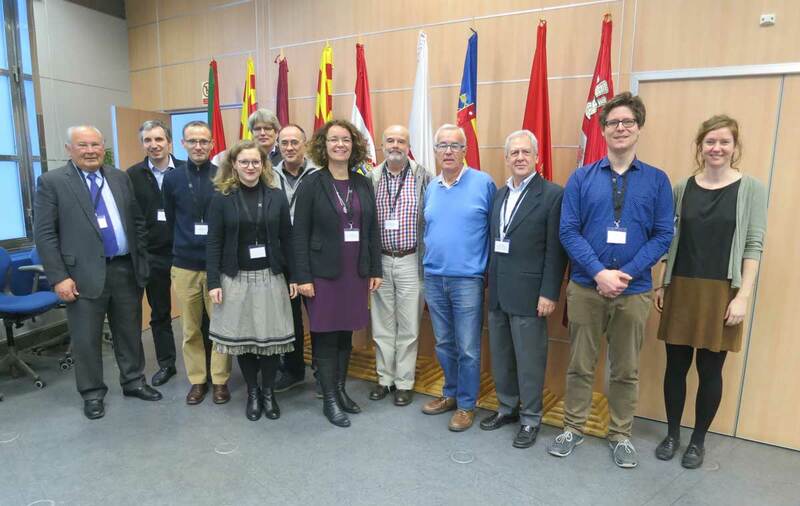 The first Workshop for the co-development of methods to utilize multi-model information on freshwater related hazards took place in the University of Le Mans in November 2018. Several stakeholders from Morocco, Algeria and Tunisia (MAT) participated in this first workshop. One of the key aims was to gain an understanding of the possibilities of multi-model information. Together with the stakeholders, researchers from the CO-MICC team gathered information on the needs and perceptions of stakeholders in adaptation planning in MAT countries. First ideas for the design of the planned CO-MICC knowledge portal were presented and discussed. On the second day, the stakeholders were introduced to co-constructing Bayesian network structures. The CO-MICC project will use this as a basis to explore adaptation planning at the country scale. The aim of the first stakeholder workshop in the Ebro focus region was to gain information on the needs and perceptions of stakeholders in adaptation planning with regard to the possibilities of multi-model based information. Held at the Confederación Hidrográfica del Ebro, stakeholders from several government agencies and different research institutions took part along with a representative of the local irrigation community. After introducing the information to be generated by the multi-model ensemble in this project, we discussed the potential use and ways of presenting this information, including the co-construction of Bayesian network structures. As a key vector of showcasing this information, a first draft of the planned data portal was presented and discussed. Due to the diverse backgrounds of the stakeholders involved, the discussions gave insight into various perspectives and problems they are facing in the wake of climate change impacts on water availability. The first CO-MICC Newsletter has been released, informing on key topics and milestones of the year 2018. 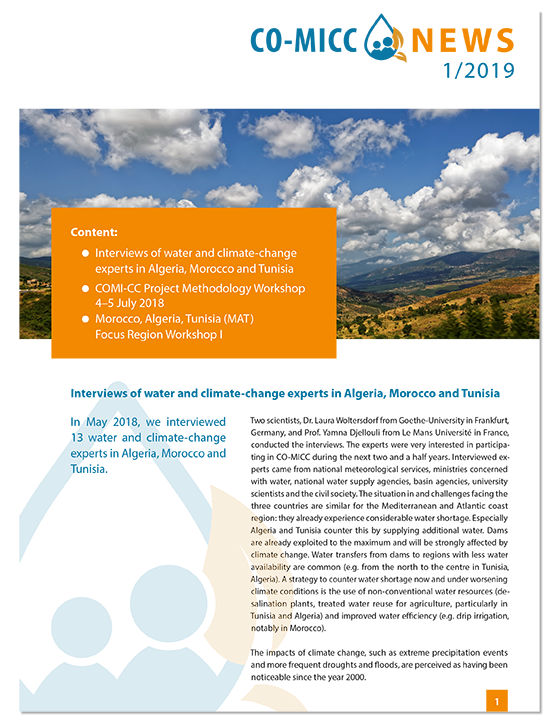 This current newsletter summarizes interviews in our focus region north Africa (including Morocco, Algeria, and Tunisia), informs on workshops with scientists and stakeholders from this region and presents key findings. The World Meteorological Organization (WMO) expressed its gratitude to Germany for hosting GRDC under the auspices of WMO over the past 30 years. The continuity to provide support to water resources management and climate services worldwide through the maintenance of repositories of data and information made available in accordance with WMO data policies was appreciated. GRDC has developed its data holdings into the most comprehensive global river discharge data archive supporting climate-related programmes and projects of the United Nations including their special organizations as well as scientific and research communities at large. Furthermore, GRDC proved to be one of the key partners in developing digital infrastructure for global information and global support for water management as well as forecasting and warning services. Together with the GEMS/Water Data Centre (DC) and the coordination of the Global Terrestrial Network Hydrology (GTN-H) at the International Centre of Water Resources and Global Change (ICWRGC) the Federal Institute of Hydrology (BfG) Koblenz serves as an operational global hub for WMO and other UN organizations (e.g. UNESCO, UN Environment, FAO) in the global freshwater sector. Mihir Rambhia studies Environmental Engineering at the TUM, Germany, specialising in Water Resources Management and the Water-Food-Energy Nexus. Since 07.11.2018, Mihir has been part of the ICWRGC team, where he is involved in the MedECC project. He will write his master thesis on the “Past climate change impacts on water resources in the Mediterranean region“ until 06.05.2019. Mihir’s thesis is supervised by Dr. Marianela Fader (ICWRGC) and Prof. Dr. Markus Disse (TUM). Following his graduation, Mihir intends to pursue a doctoral degree and his research in environmental changes and their global impacts. For one year, Blanca Torres Vara from Spain has been studying environmental and civil engineering at the TU Munich (TUM) within the scope of a joint master programme with the Technical University of Madrid. 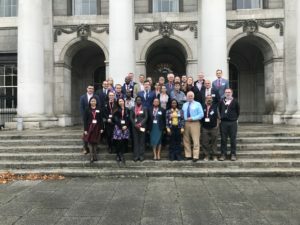 From 2 – 3 October 2018, the GEMS/Water Capacity Development Centre (UCC, Cork, Ireland) hosted the SDG 6.3.2 Technical Feedback Meeting at Custom House, Dublin, Ireland. This was the first meeting of its kind to review the methodology of an SDG indicator. Approximately 30 water quality experts from 16 countries attended, including representatives of countries which reported on the indicator, representing all world regions. The main objective of the meeting was to collect experiences made by the individual countries and provide guidance for the continued improvement of the SDG indicator 6.3.2 methodology (“Proportion of bodies of water with good ambient water quality”) in preparation for the next data drive scheduled for 2021. The feedback focused on seven key aspects, which turned out to be most challenging for the implementing partners in 2017. The results will feed into a report with recommendations on the best way to move forward. The meeting was kindly hosted by the Irish Department of Housing, Planning and Local Government and Irish Aid of the Department of Foreign Affairs and Trade attended. Additional funding was provided by the German Federal Ministry for the Environment, Nature Conservation, and Nuclear Safety (BMU) to support global participation. The International Centre for Water Resources and Global Change was represented during the meeting by the coordinator of the GEMS/Water Data Center, Philipp Saile.